A local man from the area where 20-year-old student Mollie Tibbetts went missing three weeks ago has said he is likely to be the last person to see her before she vanished. 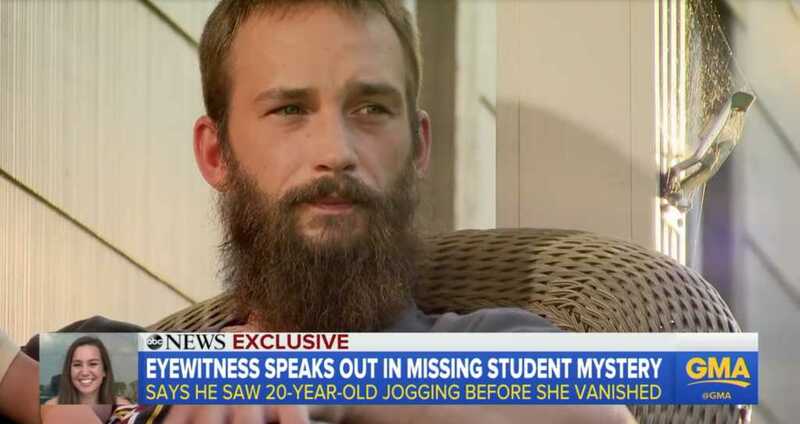 The man stated he saw the college student jog past his house around 9 p.m. on the night of her disappearance, and his description of what she was wearing exactly matched that of the official report. Though admitting he was initially apprehensive about coming forward with his information, after seeing Mollie’s family plead for any potential leads, he decided it was for the best. After giving a statement, the cops were quick to show up at his house. Riley said that investigators requested a search or “walkthrough” his property. Authorities are following up on hundreds of leads, but are keeping tight-lipped on any breakthroughs they might have had in order to preserve the integrity of the investigation. The family are offering some $313,000 to anyone who can provide information that leads to Mollie’s return. Mollie’s father, Rob, believes that his daughter is with someone she knows. Yesterday, Blake Jack, the brother of Mollie Tibbetts’ boyfriend, told Fox News that there was no sign of struggle at the home Mollie was staying in. Tibbetts was dog-sitting for her boyfriend, Dalton Jack, while he was working out of town. “She’s small, but she would have done something,” Blake explained, noting that he finds it hard to fathom that locals would not have see or heard anything had Mollie been abducted while running. “If something happened while on a run, people—like you see right now—our neighbors are outside and would have heard something.” he added. Faithwire has reached out to Riley for further comment on his reported sighting.